The Rolex Air-King has long been a favorite of long-distance pilots who revel in the beauty of precision and graceful watch movement. Prior to World War II, the Rolex was the chosen timepiece for British fighter pilots. While Switzerland was neutral in its stance on war, Hans Wilsdorf was convinced that he needed to honor the brave men with a line of manually winded Oysters. Rolex Air-King 5500 is a watch that was originally intended for pilots during World War II. When asked why the Air-King is the ultimate pilot watch, active pilots often note that there are a number of reasons for their love for the watch. Firstly, the watch’s rich history is inspiring and exciting. Secondly, the most recent feature set allows for precise timekeeping with its automatic winding technology, Rolex Chronograph, 31 jewel movement, and scratch-resistant sapphire crystal. 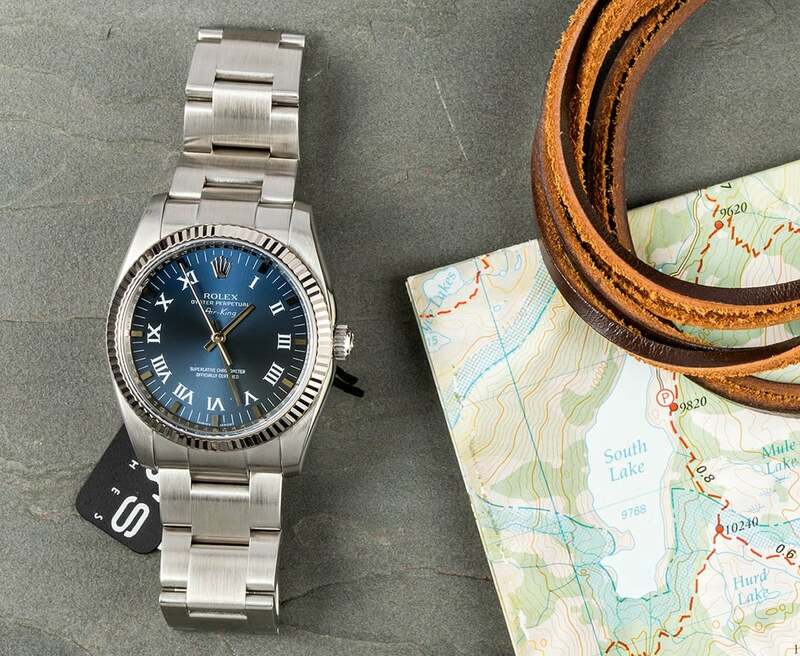 The Rolex Air-King is a given by Hans Wilsdorf to commend the bravery of the soldiers. Thirdly, the watch offers high-style appeal that pilots must rely on as they uphold the standards of their airlines. The Air-King also fits their adventurous sides with its waterproof case that can worn while swimming or diving and durable bracelet that can withstand the rigors of most outdoor adventures. The initial line developed specifically for pilots included the “Air-King,” “Air Tiger,” and “Air Giant.” Additionally, to make sure that pilots could easily read time, Wilsdorf created large watch faces that were 32 to 34 mm in diameter. While watches in today’s world can feature faces that are 44 mm in diameter, during the World War II period 32 mm was quite large and revolutionary. The entire line of “Air” watches was produced through the 1960s, yet only the Air-King survived. Today’s Air-Kings come equipped with automatic winding technology, yet Rolex collectors around the globe continually seek out early models that may have been worn by a war hero. Although the Rolex Air-King ref. 114234 is not vintage, the Air-King series outlasted any other “Air-” branch. The Air-King is without a doubt versatile and a great investment. 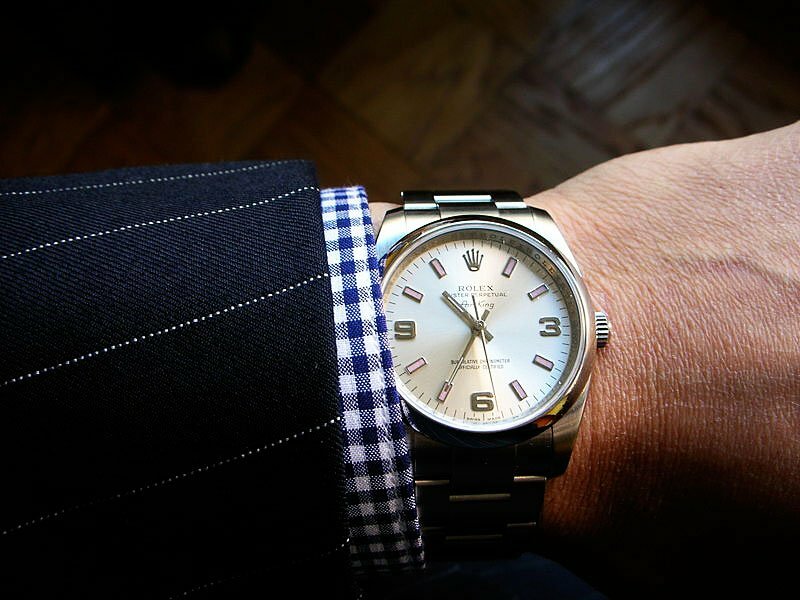 Rolex collectors are always on the lookout for pre-owned Rolex Air-Kings that tell a story. For instance, back in the 70s Pan AM used to provide a Rolex Air-King to retiring pilots. Collectors search high and low for such a watch to add to their collections because they understand the significance of such rich history. 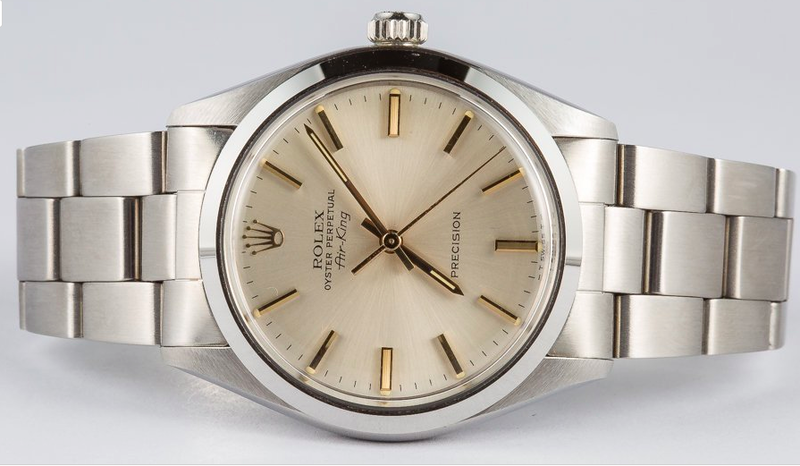 Looking for a pre-owned Rolex Air-King? The first step to finding the watch of your dreams is to research the many models that are out there and search diligently. With a bit of hard work, you are sure to find the exact watch you are searching for!